The panel discussion: The first step on a path of exploration that will lead to human landings on Mars will be taken in the coming months with the Exploration Flight Test 1 of Orion on a Delta IV Heavy rocket. After that, Orion and Space Launch System will begin a series of exploration missions that will lead to human journeys to Mars. 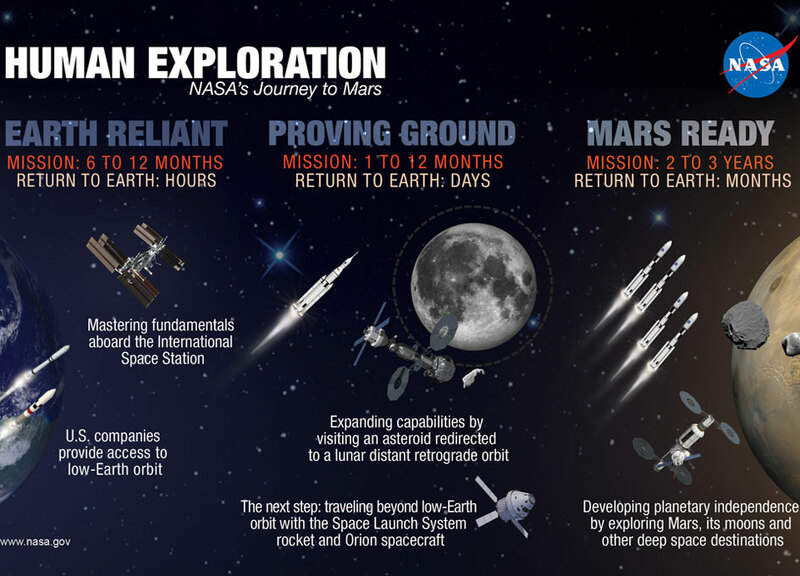 As a capabilities-driven framework, these systems will enable a variety of potential paths to the Red Planet.